Perceived shopping value is an essential factor that affects the purchase decisions of consumers (Babin, Darden & Griffin, 1994). Former research has proved that experiential value associated with shopping activities helps retailers to create sustainable relationships with their consumers (Mathwick, Malhotra & Rigdon, 2001). Therefore, many retailers are seeking for interactive applications that facilitate the online shopping experience. Applications like Augmented Reality (AR) which provides a direct product experience for online shoppers can be a valuable tool for online fashion retailers. This paper aims to provide insights about AR applications' probable experiential value in online fashion retailing. As a result, a conceptualization of AR's experiential value is proposed with hedonic and utilitarian value perspectives combined with assumed benefit and risks of online shopping that can be eliminated with the use of AR technology. Today’s consumers face a complex multichannel shopping experience that is presented by online and offline retailers (Balasubramanian, Raghunathan & Mahajan, 2005). The customers of online retailers prefer to use multiple channels (Kumar 2010; Gensler, Dekimpe & Skiera, 2007). To succeed in multiple retailing environments, retailers should adopt innovative and effective technology systems and act with an integrated and coordinated channel approach (Bourlakis & Papagiannidis, 2009; Goel & Prokopec, 2009; Blázquez, 2014; McCormick, Cartwright, Perry, Barnes, Lynch & Ball, 2014). As the use of mobile devices in retailing carry to accelerate, the experiential outcomes of shopping online will differ and a new era called Retail 3.0 will evolve (Duncan, Hazan & Roche, 2013). In this new era of retailing creating a satisfactory online shopping experience for customers is a critical success factor. The experiential value created by the shopping experience motivates consumers to purchase more from the retailer and creates customer loyalty in the long run (Matwick, et.al, 2001). 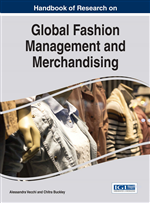 Previously fashion retailing was highly dependable on physical store environments, aesthetics and larger product portfolios (Mccormick, et.al, 2014). According to Lu & Smith (2008) traditional online shopping systems cannot offer consumers direct information and interaction with the products. As online retailers fall behind on creating stimulating online offerings, consumers are looking for new incentives with added value and the opportunity of interactivity during shopping (Siddiqui, O’Malley, McColl & Birtwistle, 2003). Digital technologies and devices, which allow consumers to visualize and assess the products efficiently, are becoming popular. These technologies provide the possibility to reduce certain risks associated with shopping online and increase the value of the online shopping experience (Kim & Forsythe, 2008a). Interactive applications like 3D viewing of the product satisfy consumers’ information needs (Li, Daugherty & Biocca, 2002; Park, Stoel & Lennon, 2008; Kim & Forsythe, 2008b) and create positive cognitive, affective and conative responses (Park, et.al, 2008). Augmented reality (AR) is a valuable tool that can be used to enhance the online shopping experience in a way that wasn’t possible before. By providing a live view of a physical environment combined with computer-generated graphics, texts and images, AR can be used to enhance the online shopping experience and provide an interactive platform for fashion consumption (Peng, Sweeney & Delamore, 2012). It provides users (consumers) an opportunity to evaluate the properties of a product that are offered online (Perry, Blazquez & Padilla, 2013). AR applications can provide product information that resembles the information acquired by examining the products in physical retail settings, which in return increases online product reliability (Li, Daugherty & Biocca, 2001). At this point, the potentials of AR are not fully studied. Therefore, this study attempts to provide a conceptualization on AR and how it could be used effectively in online fashion retailing. Shopping Experience: A chain of incidents that customers participate and consume during shopping which arises with the stimulus created by firms to create positive feelings before and after shopping. Hedonic Motivations: The motivations associated with pleasure, feelings and enjoyment. Augmented Reality: An interactive system that adds virtual objects to real environments in an attempt to integrate virtual and real objects. Shopping Value: Perceived value acquired from engaging in a shopping experience. Fashion Retailing: A type of retailing that includes selling clothing, apparel and accessories. Utilitarian Motivations: The motivations associated with problem solving, satisfying needs and accomplishment of a duty. Online shopping: Transactions between online sellers and customers through Internet.